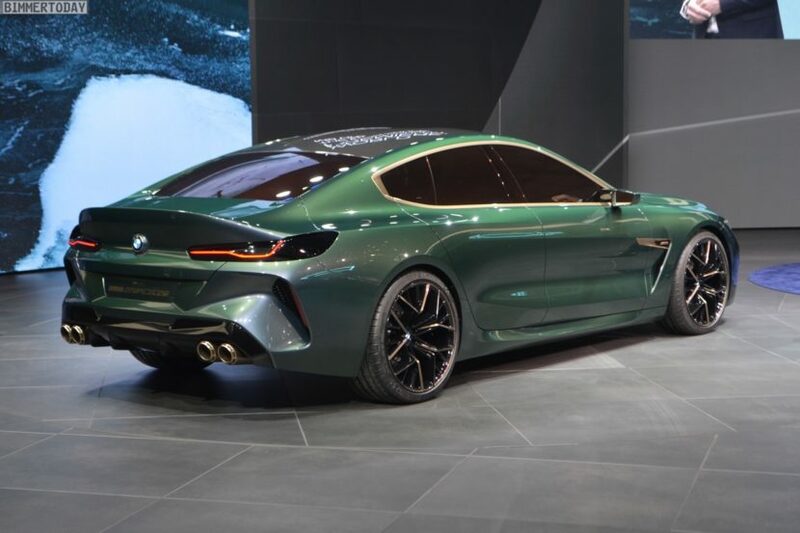 BMW says the concept car “offers a look ahead to the most alluring and exotic variant of the new BMW 8 Series.” With its long hood, sleek roofline, powerful haunches, and raised up trunk spoiler, the Concept M8 Gran Coupe certainly looks the part. This car, moreover, represents “a new facet of luxury: extremely sporty, extravagant and polarizing,” according to chief designer Adrian van Hooydonk. The Concept M8 Gran Coupe builds atop last year’s Concept 8 Series, which gives a good idea of the upcoming two-door coupe. The M8 treatment adds M-typical elements such as large wheels, massive air intakes, widened fenders, a carbon-fiber roof, a prominent rear spoiler, and four exhaust pipes. The kidney grille, the wheels, and the exhaust tips are finished in rose gold, a material that represent the epitome of luxury. The M8 Gran Coupe is painted in a blue-green called Salève Vert, after the name of a mountain above Geneva. 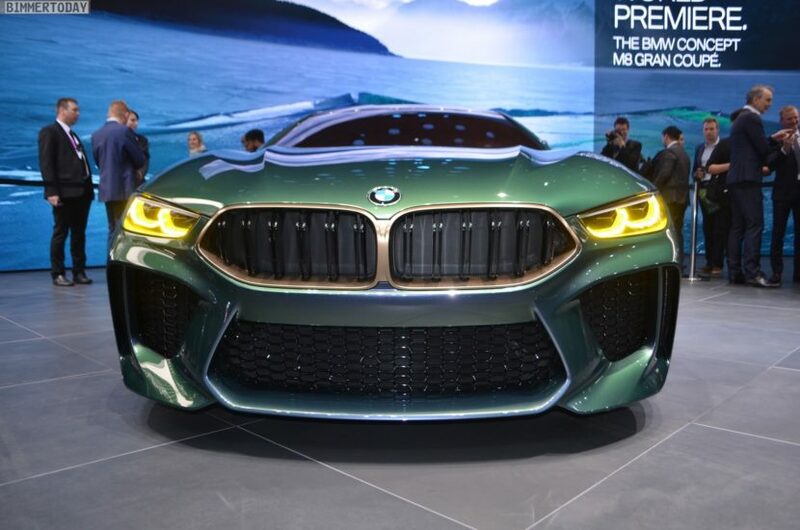 See below the videos of the BMW Concept M8 Gran Coupe.